Two bands of paper hang freely in the room. 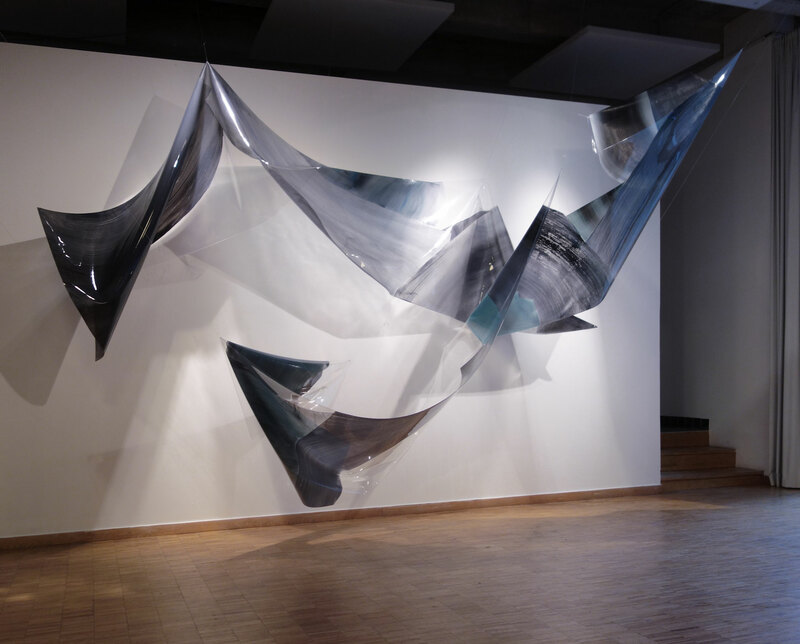 The suspended forms resemble the painted forms on the paper, which are reminiscent of a folded, winding band. 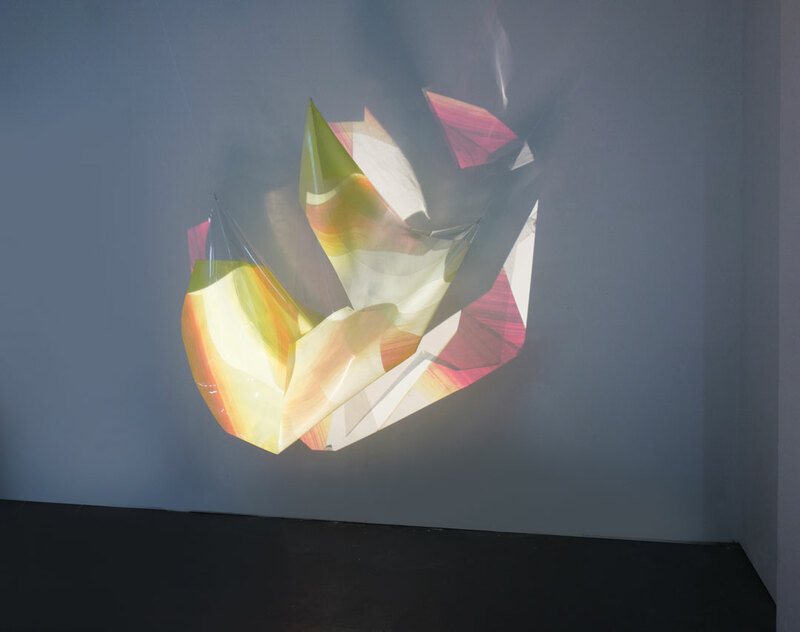 The projection displays the painting both digitized and animated upon an actual unfolding band. 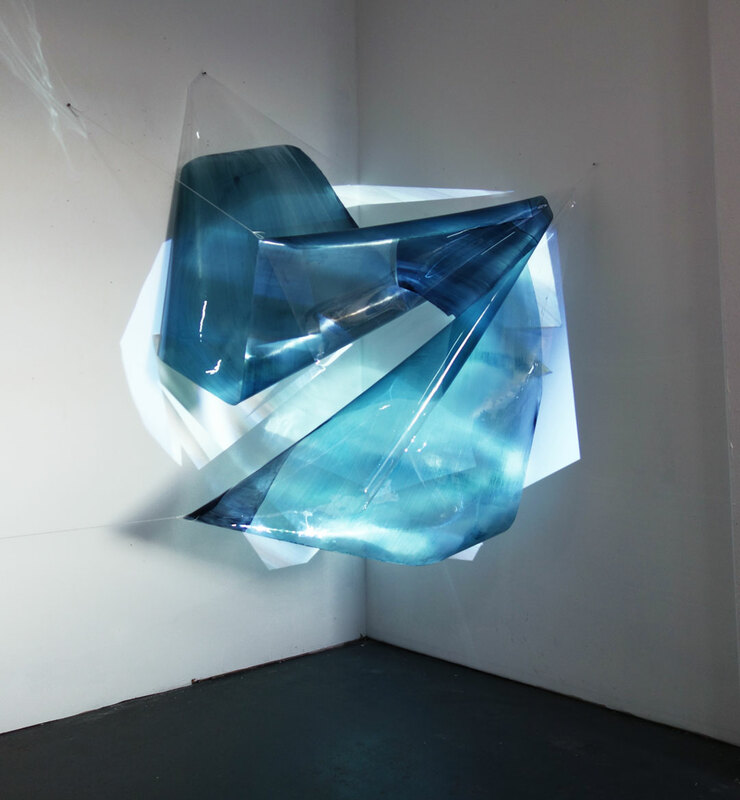 The forms in analog and digital painting are superimposed. The painting shows a wave-like structure, which moves from a center line towards the edge of the paper. 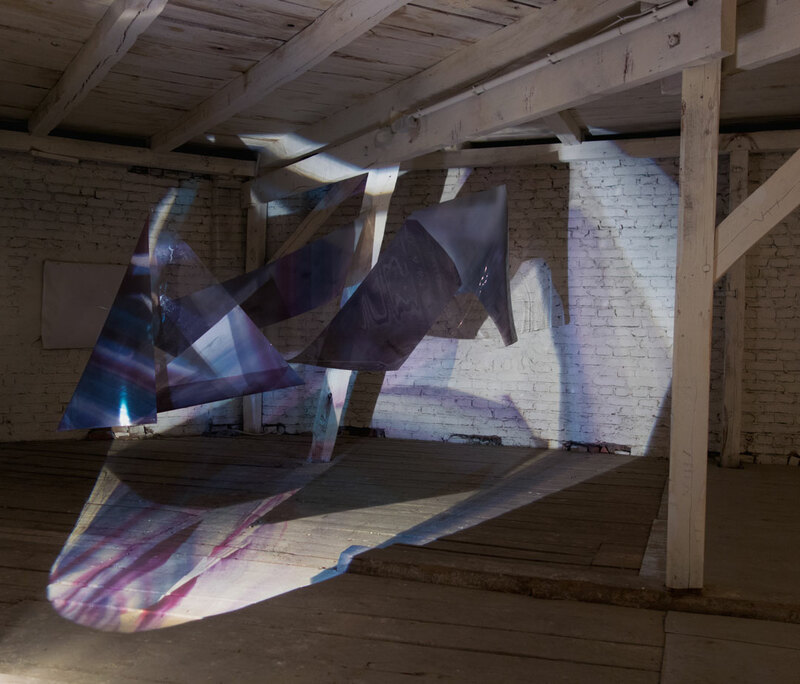 The video projection, which is superimposed on the painting, shows the painted structures in motion. A vibration has been generated by a digital animation, which on one hand, is two-dimensionally similar to the paper oscillation. 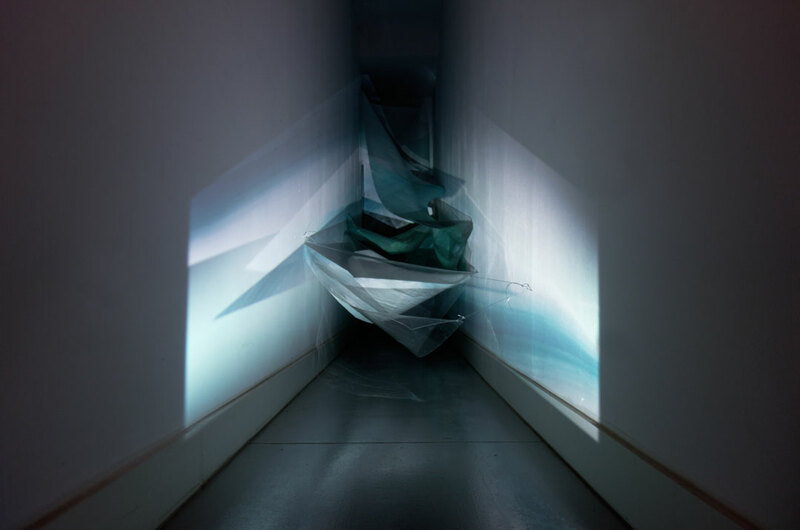 On the other hand, however, it is altered by the distortion caused by the projection surface, due to a directional oscillation of the suspended paper into a three-dimensional view. 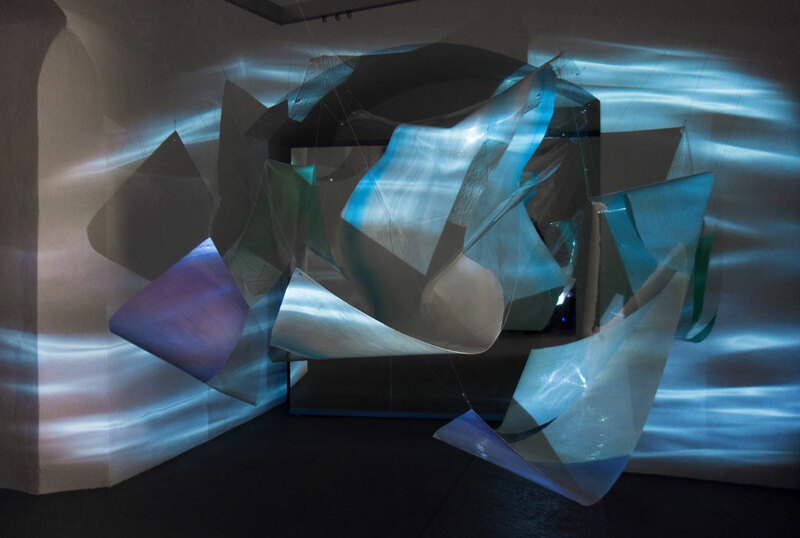 The sound of the work takes up such oscillation motion of the projection and synchronizes itself analogously through the use of graphically adapted sound waves. Each vibration has its own movement, but is influenced and expanded by the other vibrations present. The result is an organism which follows an almost vibrant rhythm due to its slowing and dipping of oscillation. 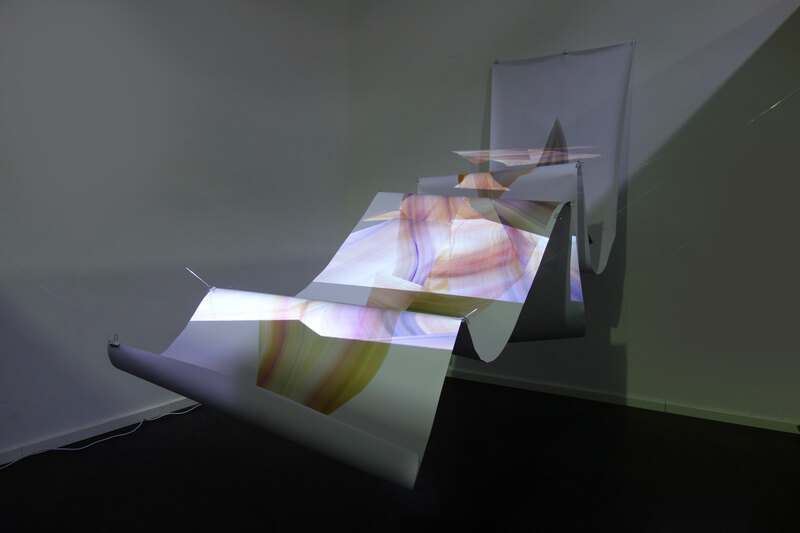 The painted forms, which can be seen on three paper sheets that are suspended in space, display the animated video projection. The forms follow a kind of a choreography reminiscent of a ballet dance. Five acts that are based on classical drama can be seen. At the end, the forms return to their original position and superimpose themselves exactly back upon their similarly painted analog shapes.